Do you love to play and wrestle with your pets? We have 3 dogs, one that prefers to cuddle (we refer to her as our cat/dog) and then the other two are all about the dog toys. In fact, keeping them supplied with toys is quite the chore. 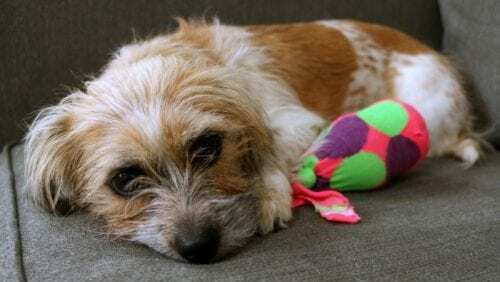 They are constantly getting lost under the couch or outside, that is why I love to make dog toys for my little fur babies. It is cheaper than buying them at the store and its fun to see them enjoying something I made for them. I grabbed everything that I needed at my local Target. 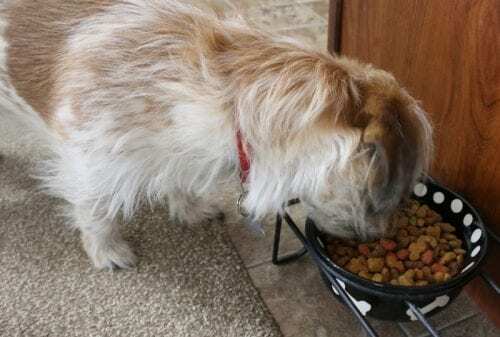 My smaller dogs love the Purina Beneful Healthy Weight so I grabbed a bag of that too! It’s right there in the dog food isle. 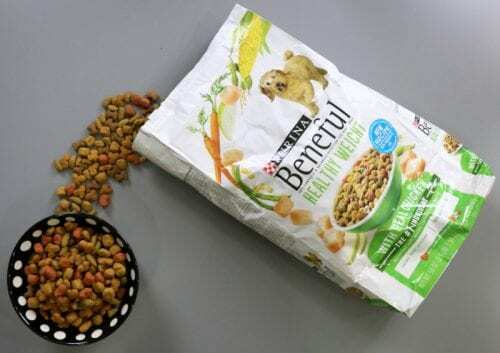 I love the Beneful Healthy weight because it has 10% fewer calories than the Beneful Originals with Real Beef, and includes real farm-raised chicken as the #1 ingredient with whole grains and vegetables. 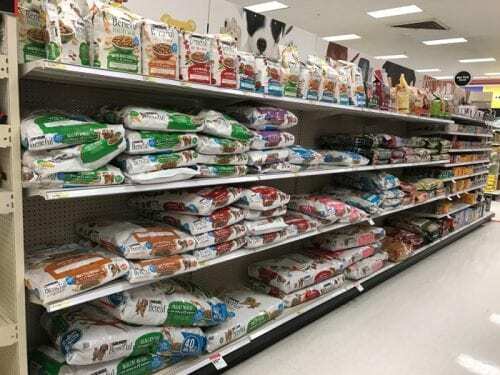 No matter which variety you buy, there is an amazing variety of Purina dry dog food products available at Target in the pet aisle! Gather your supplies together, you can see that you really don’t need that many items. 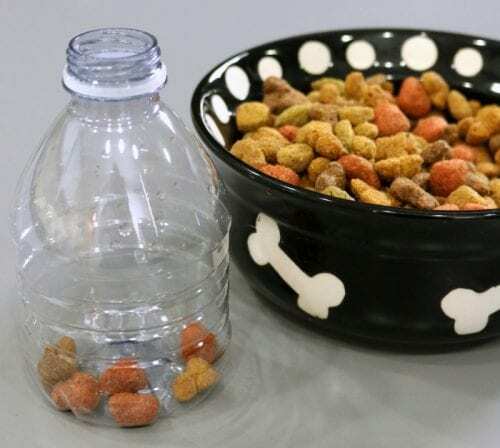 Inside an empty 8 oz water bottle drop a small handful of Purina Beneful Healthy Weight dry dog food. You only need a couple pieces, just enough that will create a noise when the bottle is shaken. You can throw the lid away, you don’t want that to be a choking hazard if you have a dog that likes to literally tear their toys apart. Slide the sock over the top of the water bottle. 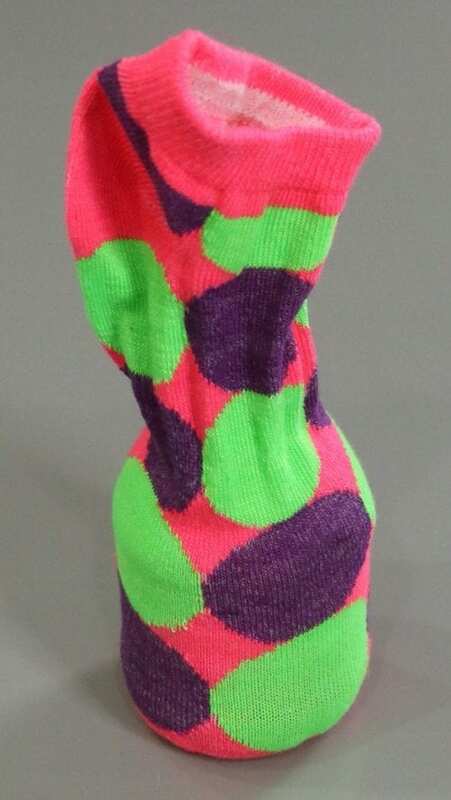 Tie a knot in the sock tightly against the top of the water bottle. 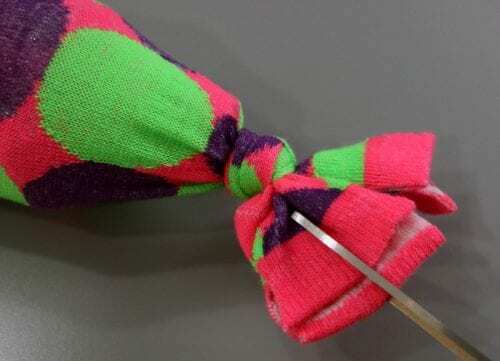 Take the scissors and cut slits into the top part of the sock, down to the knot. That’s it! 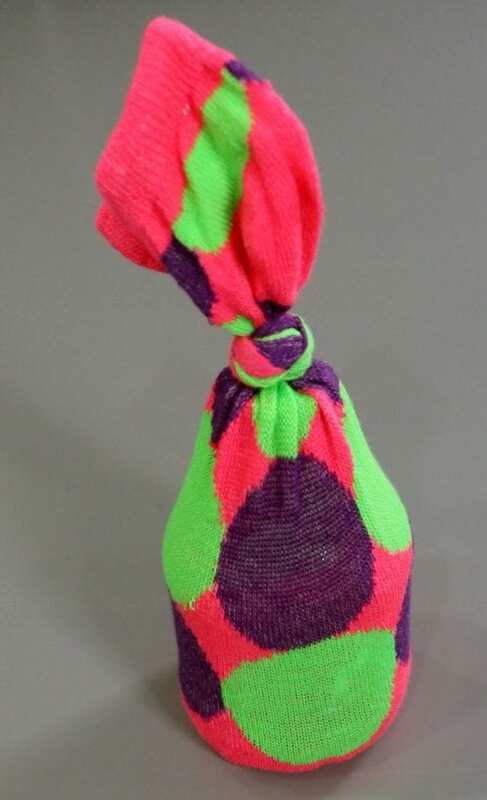 You have a new Crinkle Water Bottle Dog Toy! 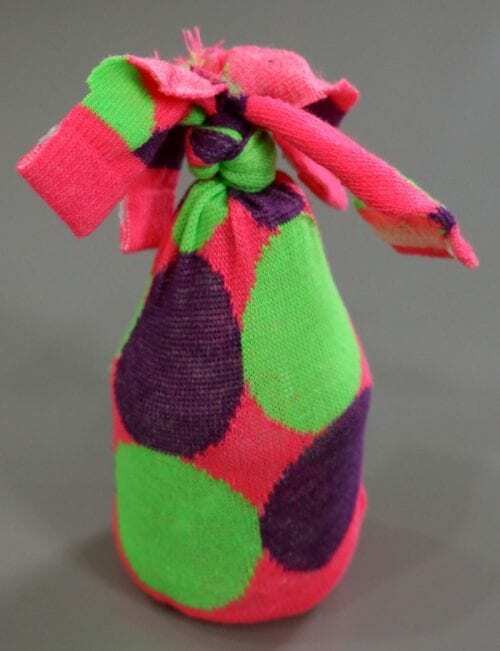 You can also make them with the 16.9 oz water bottles and dress socks. It just makes a little bit bigger dog toy. When I first gave it to my Lily she sniffed it a lot. I think she could smell the Purina Beneful! She nibbled on it for a minute. Then claimed it as her own. I think she wanted to make sure that no one was going to take it from her. 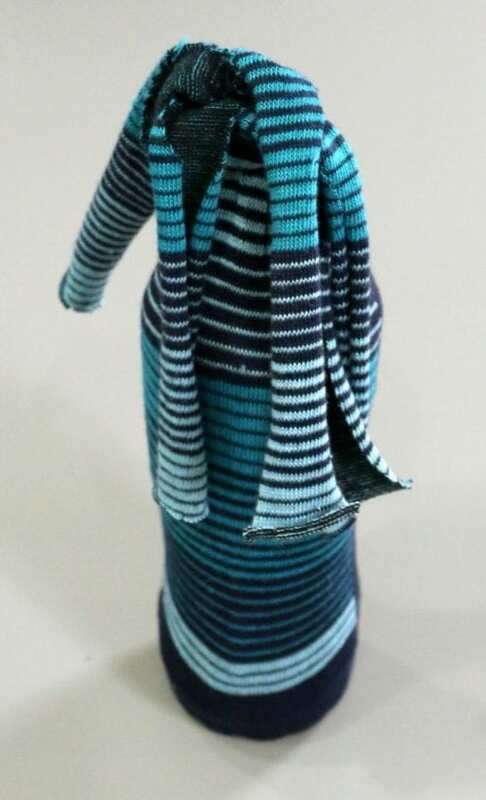 What have you made for your favorite furry friend? Share and leave a comment below! For more information on Purina Dry Dog Foods visit them on Facebook, Twitter, YouTube, Pinterest, and Instagram. 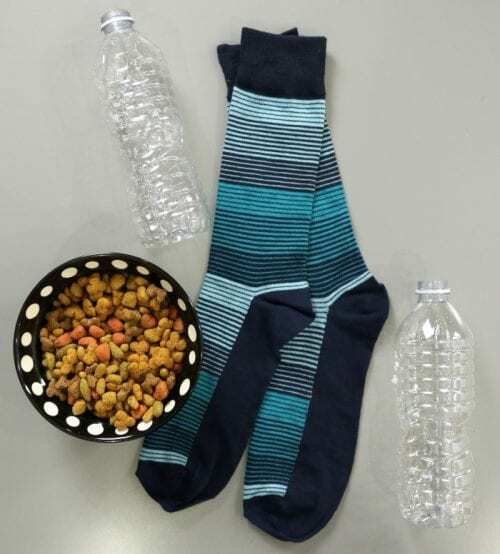 SAVE HOW TO MAKE AN EMPTY WATER BOTTLE DOG TOY CRUNCHER TO YOUR FAVORITE DIY PINTEREST BOARD! Ha ha ha! Thanks, Allsion! It is a fun project! First off, your pup is the cutest thing ever! And secondly, I can’t wait to try this out! What an awesome idea! My dogs are going to love this! Thanks Jane! 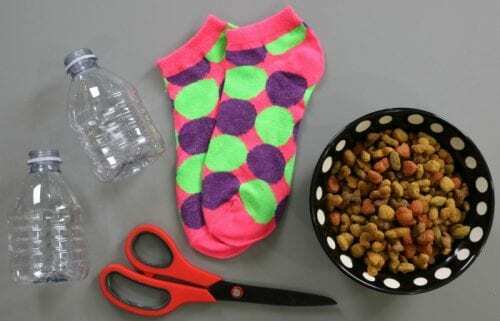 It is a very simple way to make a dog toy out of items you probably already have! I am sure your pups will love it too! I love this idea! So simple and looks like so much fun for pups! Thanks for sharing your crafty inspiration on this week’s Monday Funday Party! Thank you, Pauline! 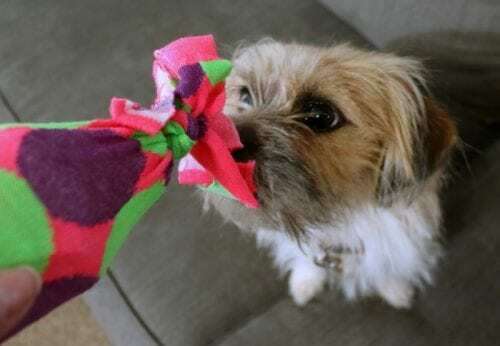 These dog toys were a lot of fun to make and my doggies love them! Oh! I’ll have to share this with my friends who have dogs. They will love this! Thanks for sharing at the #HomeMattersParty. Thank you, Lynn! It is a fun to make your dogs chew toys! Our second dog LOVES water bottles. She will chew on them until they are totally flat. I can see her loving this toy. Thanks for sharing on Merry Monday. Pinned. Thanks, Erlene! My doggie is the same way. She loves plastic bottles and will sometimes even chew on them before they are empty! I know my dog would love this! She loves the noise from biting on the water bottles! Thanks so much for sharing at Celebrate It! I am so glad that you made one for your furry friend and that they love it too! Thanks Teri!